Braided whip with leather keeper. Featuring diamante encrusted handle and metal cap with large diamante stone. You can't get more sparkle! 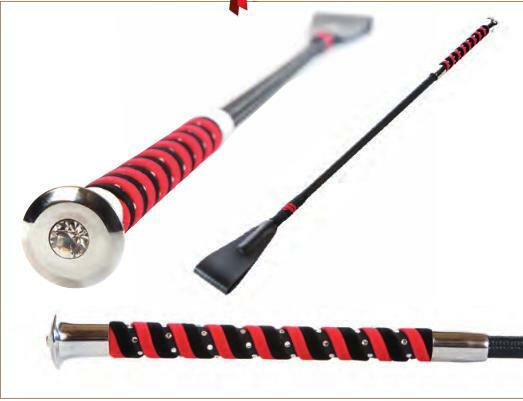 There are currently no questions for HySCHOOL Diamante Riding Whip - be the first to ask one!